Charismatic, historical, and local charm is what Hollywood Lakes is all about. Located between Washington Street and Johnson Street just east of US1 is Hollywood Lakes, a quintessential historical old Florida community. Drive through Hollywood Lakes to find streets lined with royal palms giving the community a dramatic and breathtaking feel as you drive towards the beach. Back in the 1920s, Joseph Young inspired the development of this wonderful community filled with green parks, open spaces, and of course, the beautiful twin man-made lakes which serve as the focal point of the community. Comprised of over 500 single family homes, Hollywood Lakes is a mix of both the new and old; newly constructed modern single family homes and historical estates. Hollywood Lakes is divided into two distinct sections; North Lake and South Lake. Within North Lakes there is also a gated community known as West Lake Village where buyers can find a multitude of housing options including oversized single family homes, luxury town homes, and grand condominium units. The home styles in Hollywood Lakes are as diverse as its residents, allowing all different types of people to co-exist in this wonderful community. 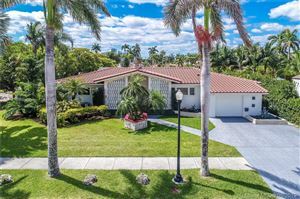 Single family homes in Hollywood Lakes occupy either dry lots filled with tropical colorful landscaping and mature stately trees or beautiful waterfront locations. For the discerning mariner, waterfront properties in Hollywood Lakes enjoy direct access to the Intracoastal Waterways and Atlantic Ocean.